Recently Etsy has been featured in numerous online articles and receiving loads of media attention for a policy change that has resulted in people viewing the online handmade marketplace in a whole new light. This policy change, while ever so slight, has changed Etsy from being an exclusively handmade marketplace where consumers searched for unique products to one that allows shop owners to outsource some of its products. As an entrepreneur, this change could be big for your business! Etsy’s popularity has enabled many of its entrepreneurs to be able to quit their full-time jobs in order for them to build their business and earn the equivalent or more than what they were earning at their previous job. It isn’t going anywhere – and with all the added attention on it recently, there is no time like the present to build your business! While Etsy does allow for its sellers to outsource some of their products, it isn’t Ebay or Amazon so you still need to have some homemade products. Incorporating both handmade and outsourced products is a great way to maximize your earnings as well as well as your workload. Printable goods are really hot right now. Anywhere from printable birthday party themes, to prettied-up to-do lists, planners, and so much more. All it takes is a computer with a design software such as Microsoft Publisher, or even the free online based photo editor PicMonkey, a vision and some creativity. With most of the paper crafts, they come as a digital download, so no additional trips to the post office or postage fees are required! Take a walk around the mall and you will see women and girls of all ages decked out in trendy headbands. 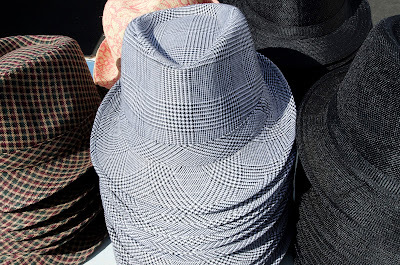 They come in many different designs and feels, from Indie-inspired leather headbands to cloth. Hairbows are also a big hit! Are you part of the oily movement? Essential oils have gained popularity and essential oil enthusiasts are always on the lookout for new blends and health and beauty products. Lip Balm and Bath Salts are incredibly easy to make – and are widely popular. Anything from vintage clothing to custom T-shirts to embroidered bags, they’re all hot right now. 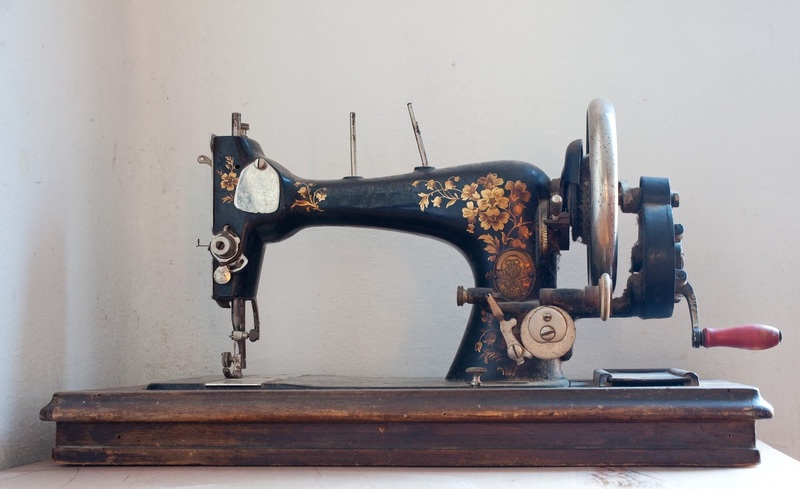 Antique and thrift shops are great sources for vintage clothing that still appeal to buyers today. Do you own a Silhouette or Cricut Machine? These vinyl cutters make it simple to create custom heat transfer vinyl t-shirts, hoodies or bags. Additionally, an embroidery machine opens up a whole new world of possibilities, with monogrammed towels, embroidered baby blankets, custom bags and organizational products, and so much more! Home decorators are always looking for something unique and easy to set their home out above the rest. Vinyl wall decals are just that! Super simple to apply, easy to remove, and easily personalized to fit the message of the home it is placed in. With the availability of vinyl cutters such as the Cricut or Silhouette, vinyl wall decals have never been easier to create at home – and to sell for profit. In recent years, big chain craft stores and even some department stores have increased their jewelry making supplies and made them more affordable for the hobby jewelry maker. Some smaller jewelry pieces are easy to get started making and Youtube offers some good tutorials to show you the techniques. What little girl doesn’t just love new clothes and accessories for their favorite doll? Homemade doll clothes and accessories, especially for the 18 inch dolls (think: American Girl) are all the rage! A quick online search will reap many patterns and tutorials to get you started. Etsy customers are still looking for unique products. So even if you choose to resell cheap finds off of Amazon, they still need to have a handmade or vintage feel to them. Handmade jewelry sells very well on Etsy, but there are also a lot of jewelry makers, which means it will be that much harder for you to stand out above the rest and be noticed. This is where photography and your logo play a big role in the success of your etsy business. Since your future customers aren’t able to actually touch and see the product in person, your photography has to capture it in every angle in a flattering light so your customer feels as if they just had it in their hand. Your images and logo need to be appealing and draw your customer into your etsy shop, just as if you had a brick and mortar store. As consumers we get bored really quickly. 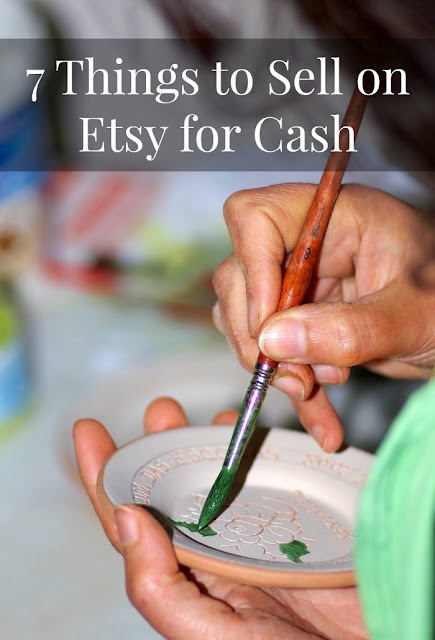 Keep your etsy shop interesting and change out what you offer on a quarterly basis. Always pay attention to what is selling and what isn’t, some items might need to be phased out sooner. This will help you to keep your store fresh and make it set apart from all of the others! There’s no time like the present to get started! And who knows, maybe you’ll be the next top Etsy shop with over $65,000/month in sales!